HONOLULU, Hawaii — The American Civil Liberties Union (ACLU) has filed a lawsuit on behalf of a family planning organization, a pharmacist group, a physicians academy and a Hawaii doctor in an effort to challenge FDA regulations and make the abortion pill Mifeprex available at pharmacies nationwide. 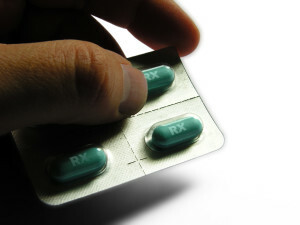 The ACLU notes that the FDA requires that the pill be provided at a medical office or hospital under the supervision of a medical professional, and only under the terms that the physician has registered with the manufacturer of Mifeprex. Abortive mothers must also sign an agreement that she has received counseling on the risks associated with taking the drug. The woman can then ingest the pill whenever and wherever she wishes, which will then cause cramping and bleeding, and ultimately the death of her unborn child, who will consequently be expelled from her body. Mifeprex is used for first trimester abortions up until the first ten weeks of pregnancy, and has reportedly ended the lives of three million children since it was approved in 2000. Graham Chelius of Kauaʻi, one of the plaintiffs in the case, states that because there are no abortionists on his island, mothers must travel elsewhere to end their child’s life. He says that if the FDA regulations were lifted, he would be willing to write women a prescription in his office, thus making abortion more readily available. “The time, costs, logistics, and emotional strain involved in traveling to O’ahu for care are insurmountable for some of Dr. Chelius’s patients. Because of the [regulations], some women on Kauaʻi have been forced to carry a pregnancy to term against their will,” the suit argues. The ACLU is therefore seeking an injunction against the FDA’s Risk Evaluation and Mitigation Strategy (REMS) on Mifeprex and a court order that the restrictions be removed.